First love, friendship, school, family, community, having a crush, loving your mother and hating your mother, sense of self, body image, hopes and dreams . . . these seventy-two poems by Naomi Shihab Nye—written expressly for this collection—will speak to girls of all ages. An honest, insightful, inspirational, and amazing collection. 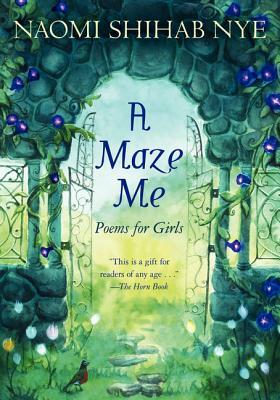 "A wide age range will respond to these deeply felt poems about everyday experiences, which encourage readers to lean eagerly into their lives and delight in its passages. "—ALA Booklist (starred review). An introduction by the author is included. Naomi Shihab Nye is a poet and anthologist and the acclaimed author of Habibi: A Novel and Sitti's Secrets, a picture book, which was based on her own experiences visiting her beloved Sitti in Palestine. Her book 19 Varieties of Gazelle: Poems of the Middle East was a finalist for the National Book Award. She has taught writing and worked in schools all over the world, including in Muscat, Oman. She lives in San Antonio, Texas.